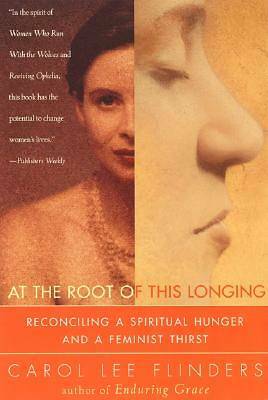 In At the Root of This Longing, Flinders identifies the four key points at which the paths of spirituality and feminism seem to collide & #150; vowing silence vs. finding voice, relinquishing ego vs. establishing & #145; self& #146; , resisting desire vs. reclaiming the body, and enclosure vs. freedom & #150; and sets out to discover not only the sources of these conflicts, but how they can be reconciled.& #11; & #11; With a sense of urgency brought on by events in her own life, Flinders deals with the alienation that women have experienced not only from themselves and each other, but from the sacred. She finds inspiration in the story of fourteenth-century mystic Julian of Norwich and her direct experience of God, in India& #146; s legendary Draupadi, who would not allow a brutal physical assault to damage her sense of personal power, as well as in Flinders& #146; s own experiences as a meditation teacher and practitioner. Flinders reveals that spirituality and feminism are not mutually exclusive at all but very much require one another.